Jillian Noyes writes . . .
As kids, we all had our favorite dinosaur films. For many millennials, the seminal The Land Before Time (Don Bluth, 1988) brings about a wave of nostalgia. For others, Spielberg’s Jurassic Park (1993) has no comparison. A few may even cite Disney’s groundbreaking CG epic Dinosaur (Ralph Zondag & Eric Leighton, 2000) as a personal favorite, even if it’s aged quite poorly. For me, however? My favorite dinosaur film was (and still is) the Rite of Spring segment in Walt Disney’s magnum opus Fantasia (1940). The interplay between Stravinsky’s ballet score and spectacular displays of prehistoric barbarism immediately struck a chord with me and my younger brothers when we first saw it as dinosaur-obsessed kids. Forget the big-eyed, cutesy Bluth-o-saurs like Ducky and Littlefoot - if you wanted to see dinosaurs in all their terrifying majesty but weren’t allowed to watch Jurassic Park, The Rite of Spring reigned supreme. As a Film Studies major, my appreciation for Rite of Spring has only deepened over the years, and I’ve come to find the making-of process behind it just as fascinating as the finished product. What’s especially interesting is how Disney’s dinosaurs are a time capsule of what was considered to be the cutting edge of paleontology in the 1930s and early 1940s. With the benefit of scientific hindsight, it also demonstrates just how much paleontology has advanced in the last 80 or so years. At the turn of the century, dinosaurs were just beginning to creep into the public imagination thanks to the efforts of Roy Chapman Andrews, Friedrich von Huene, Henry Fairfield Osborn, and the non-profit museums who were all too happy to display their findings to enthusiastic crowds. It’s hardly surprising, then, that characters like Gertie the Dinosaur (Windsor McKay, 1914) were among the first animated movie stars, albeit significantly less scary than how museums presented them. But Walt Disney was about to subvert things entirely. From the very start of preproduction on Fantasia in September 1938 Disney wanted to include a prehistoric sequence that would serve as “a coldly accurate reproduction of what science thinks went on during the first few billion years of this planet's existence” (Fantasia). So he brought on Julian Huxley, Barnum “Mr. Bones” Brown, and Roy Chapman Andrews as scientific consultants for the project, along with Edwin Hubble. To think that all of them worked on the same project -- an animated film, no less! -- is mind-boggling. Each man contributed his own expertise to the film, based on the most-cutting edge studies of the time. Huxley, hard at work on his magnum opus Evolution: The Modern Synthesis, shared his research on genes and their role in biological development, which animators translated to the screen in a hypnotic prelude sequence dubbed the March of Life. Speaking from his own experiences in excavating fossils from Howe Ranch Quarry in Wyoming, Brown explained his hypothesis that the Cretaceous-Paleogene extinction was caused by intense drought. This too was memorably rendered in the finished product, specifically during the climax of the work, in which scorching sunlight spares no creature. As for Andrews, the exact nature of his contributions are unclear. Given Walt Disney’s penchant for live modeling sessions, though, one can reasonably assume that he granted animators access to the American Museum of Natural History’s extensive fossil collection for reference. Concept art was drafted, model sheets based on clay maquettes were developed, and animals were brought in for the animators to study their movements (including a baby alligator!). The goal, as Disney put it, was to have “science, not art, write the scenario of the picture” (Fantasia). As such, no detail was spared. Of course, science marches onward, and what was considered “coldly accurate” in 1940 is hilariously inaccurate now. Cataloging every single fault would be fruitless (especially since some have already done it). What’s far more interesting, at least in my opinion, is that Disney and co. actually got some details right. During the most iconic sequence of the short, a Tyrannosaurus rex and a Stegosaurus do battle against a backdrop of ominous rain and crackling thunder. While the Stegosaurus puts up a good fight, uppercutting the carnivore with its spiky tail, it proves to be no match for T. Rex, who swiftly clamps down on the herbivore’s neck and bites down until its prey drops dead with a hearty thud. Of course, this scenario is laughable, given that the two dinosaurs in question lived 150 million years apart from each other. But look closely at the animation cell above, taken directly from the aforementioned scene. In one of the very few instances where aesthetics were given precedence over accuracy, Disney insisted that the big beastie of the piece have three fingers rather than two. Why? “I really think it looks better with three” he reportedly said (Moore, 207). That’s right, Allosaurus. As it turns out, Disney’s aesthetic eye proved to be more accurate than science years before it was conclusively proven by paleontologists. That’s far from the only accidental accuracy demonstrated by Disney and his animation team. Several dinosaurs in the short demonstrate complex herd-like behaviors - a far cry from the image of the solitary, isolated lizard beast which dominated scientific and cultural thought at the time (Switek). Many of them are lumbering and brutish, but there are also creatures that are agile and lithe - again, foreshadowing the revelation that dinosaurs were closely related to avians . But as interesting as coincidental predictions may be, that’s not what makes Rite of Spring such an enduring work. Rather, it’s the way in which it engages directly with the viewer, using animation to show a perspective which was once deemed impossible to witness. “Science is brought to life in a way that no textbook can possibly do”, Brian Sibley wrote of the film, and it’s that aspect which makes me appreciate it so much more than Land Before Time and its ilk. Far from being “cute animal personalities” - Disney’s words, not mine (Fanning) - the dinosaurs in Rite of Spring tap into our most primal fears and desires in order to suture us into the most animalistic of perspectives. When Stegosaurus succumbs to T. Rex, a part of us withers away along with the former’s remains. When we witness dinosaurs hatching from eggs, hope is restored in us. When the dinosaurs fight to survive, we are reminded just how brutal our own existence can be. There is no latent metaphor for a modern-day controversy like in Jurassic Park; no clear-cut heroes or villains like in Land Before Time – just us and the dinosaurs who are completely oblivious to their own mortality. That universality, I believe, is what makes the short so special and timeless. Rite of Spring resides in the company of The Sorcerer’s Apprentice and Night on Bald Mountain as Fantasia’s greatest legacy. It’s inspired countless artists, researchers, scientists, and paleontologists – not to mention countless parodies and riffs. It revolutionized the kinds of stories which could be told through animation, pushed scientific boundaries, and inspired new discoveries. But most importantly, it proved that the impossible was possible. Against all odds, Disney had succeeded in bringing dinosaurs back to life. Fanning, Jim. "Fifteen Fascinating Facts About Fantasia." D23. Walt Disney Company, n.d. 01 Nov. 2016. Moore, Randy. 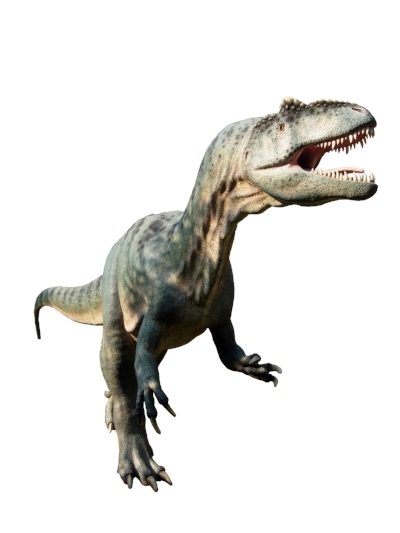 Dinosaurs by the Decades: A Chronology of the Dinosaur in Science and Popular Culture. Santa Barbara. California: Greenwood, an Imprint of ABC-CLIO, LLC, 2014. Print. Seastrom, Lucas O. "Fantasia’s Rite of Spring as a Scientific Document: Edwin Hubble, Julian Huxley, and the Fusion of Science & Art." University of Walt Disney. N.p., 23 June 2014. Switek, Brian. "Disney's Age of Dinosaurs." Smithsonian. Smithsonian Institution, 5 Dec. 2011.